About 15 miles southwest of Alamogordo in New Mexico, in the northern end of the Chihuahuan Desert is the Tularosa Basin. Here gypsum is washed off the mountains by the rain or brought by the wind. It is water-soluble and would normally be washed out to sea. Here, however, it stays in the basin as the water either evaporates or goes into the ground. 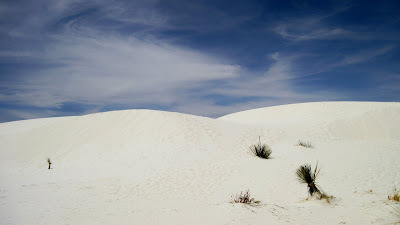 275 square miles of shifting, shining, white dunes. 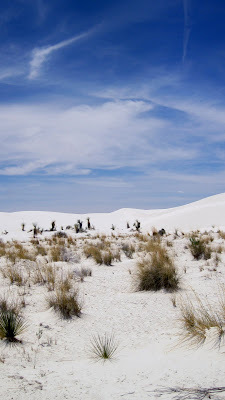 Unlike quartz-based sand, the gypsum does not easily convert the sun's energy into heat and so the dunes are cool enough to walk on in bare feet, even when the summer sun is blazing overhead. We visited here on our road trip last year. Grasses and other plants have adapted to life here. 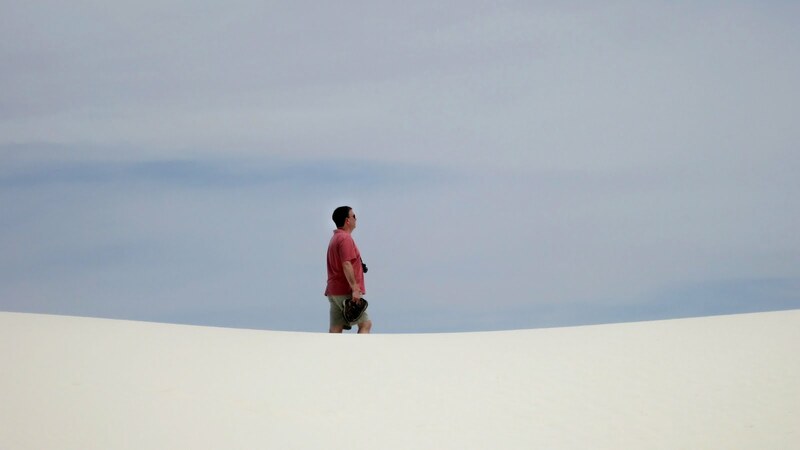 I've been to White Sands. It truly is an awesome place! Great take on the theme. Thanks, Roy. It really is beautiful, isn't it? I'm told the best time to go for photography is early morning or sunset. 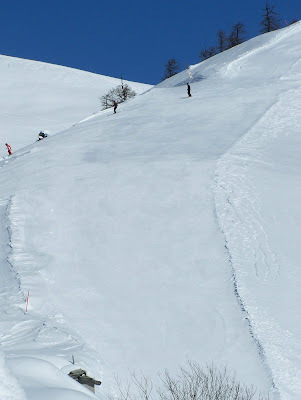 We were there at midday. Ouch! It was hot. your photos from white sand are amazing...i was there only once - about 25 years ago, was tempted to post a photo from that trip but time hasn't been kind to them and there didn't make the grade. it is an amazing place. thanks for sharing your memories and a few images. I've walked those white sands...truly amazing, aren't they? What a gorgeous post -- I am in awe. oh wow...would love to walk there...beautiful...happy tt! Beautiful photos and I love the IDEA of snow but white sand is so much more appealing. I notice he has no shoes on! Can't do that here in midsummer, the sand is hot! Baino - you need to import some gypsum sand! It was the most amazing experience - midday with temperatures in the 90s and yet the sand was cool underfoot. People were clambering up the dunes and then sliding down again. I'd love to go back. these are just beautiful Liz. Gorgeous.